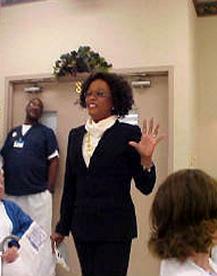 Empower and inspire your employees to be their best with motivational speaking seminars from our speaker in Tarboro, North Carolina. Rainbo Renaissance Creative Solutions specializes in motivational speaking, empowerment sessions, team building, and leadership coaching. 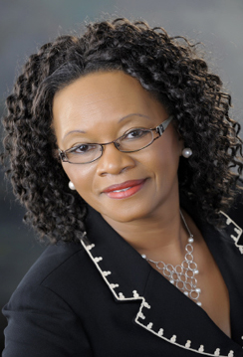 Our founder, Dr. Evelyn Johnson, provides seminars and workshops for all types of companies and specializes in working with school systems and employees. With more than 35 years of experience in the public school systems of North Carolina, she is an expert in her field and has spent most of her career improving the lives of others. We believe that strong teams build a great organization, and we do whatever it takes to help you reach your desired potential. We work with your team leaders to build the potential of your organization and increase overall productivity. We believe a leader has to empower and be the monitor of the organization in order for success. We design workshops specifically for your needs and provide your leaders and employees with empowerment strategies and motivation. Read more about us and how we can help your organization. At Rainbo Renaissance Creative Solutions, we believe that to learn to be an effective leader you must learn how to follow. In order to be a good leader you must first believe in yourself, and also in the people that you work with. It is important to assemble a team and have an articulate vision that others can follow. Our leadership coaching seminars teach you the fundamentals of leadership and how to be an effective leader at all times. releasing untapped potential in your employees through our motivational speaking.